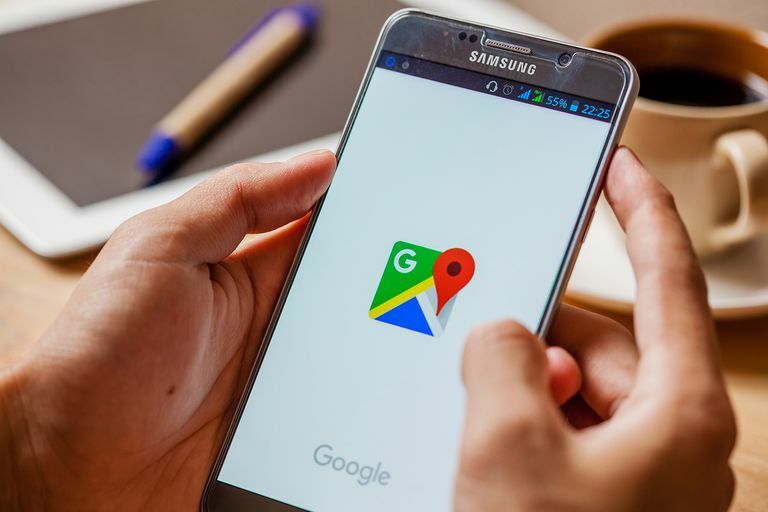 With Google Maps, you can share your location with friends, so they can pinpoint where you are, and use Google’s stellar navigational skills to get them to you fast. Locations can be shared for just right now when you need to meet up with someone at a local park or can be shared for more extended periods. For instance, if you happen to be vacationing with a few friends in Las Vegas, you might all share your location for the weekend so you can see at a glance that two friends are gambling at the MGM, another is at Planet Hollywood, and one is still in bed at the hotel. While you probably don’t want your friends to be able to keep tabs on you constantly, there are definitely a few occasions where having an idea of where everyone is can be super useful. If you want to give it a try, here’s a step-by-step guide to making it happen with both friends how have a Google account and friends who don't. Make sure you have everyone’s Gmail address saved in your Google Contacts. If you’ve ever emailed these people, then chances are good you’ll have their info saved. On your Android phone, that means going into their contact card, and making sure the email field is filled out with an account they use. On your computer, you can access Google Contacts by logging into Gmail, and click on the Gmail in the top-left corner. From there, select Contacts from the drop-down menu. Then, on the Contacts page, you add new people by clicking the big pink + sign in the bottom right of the page and add individual entries by clicking on their name. Launch Google Maps on your Android or iOS device. Tap the menu button (it looks like three lines and is on the left side of the search bar). About halfway down the menu options, you’ll see Share Location. Tap on that to bring up the share location window. Decide how long you’d like to share your location. There’s an option for “Until I turn this off,” if you’d like it to be indefinite for now. Alternatively, you can select the first option to specify a time. It defaults to one hour (for those quick “Where are you?! ?” messages.) You can press the + or - button beside it to change how long you’re sharing. The time the share will expire will appear, so you know exactly when you’re going to run out of time. Once you’ve determined how long you’d like to share your location, you can designate who you’d like to share it with. Tap Select People at the bottom of your page to select whom you’d like to share with. Once you choose a person and send the information, they’ll get a notification letting them know you’ve shared your location with them. They'll be able to access your location via Google Maps on their device. You can still share your location, with people who don't have a Google Account. That person, though, cannot share theirs. To share, go through the steps outlined above, and then go into the More menu and select Copy to Clipboard option. That will give you a link you can pass along to friends via text, email, Facebook Messenger and the like so that they can find you. This can be super useful when you’re trying to meet up with a ton of people you don’t know very well. For instance, if you’re the leader of a tour group, you can share your location so people can meet you for the tour or catch up to the group if they’re running behind.